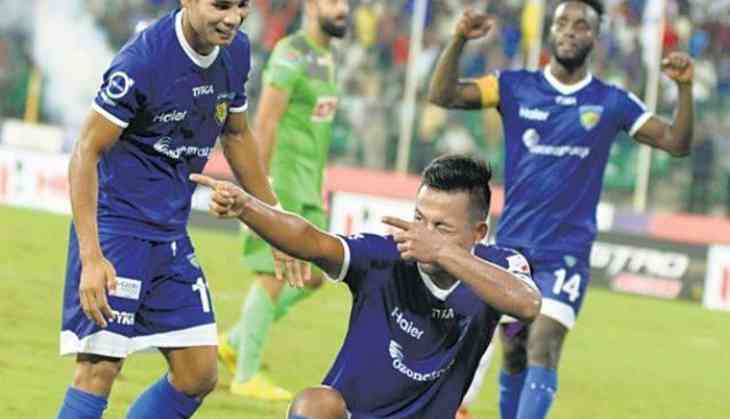 Chennaiyin FC will be aiming to make a course correction after their opening round loss to Bengaluru FC when they take on FC Goa in an Indian Super League encounter Saturday. John Gregory's men created a few chances but were largely disappointing their 0-1 loss to Bengaluru and the coach would expect his strikers to up the ante against the Gaurs. Due to heavy rainfall during the past two days, conditions at the Nehru stadium can be expected to be sluggish, making the job a tad tougher for the forward-line. On the other hand, FC Goa drew 2-2 in an away game against NorthEast United FC. The team's coach Sergio Lobera spoke about errors committed during the previous game including one by rookie goalkeeper Mohammad Nawaz. FC Goa has made the play-offs thrice in the last four years, is chasing glory and the coach hopes the team's attacking philosophy will pay dividends. The aggressive style advocate by Lobera was in display during the draw against NEUFC and they will look to cash in against Chennaiyin, known to be slow starters. FC Goa roped in Jackichand Singh from Kerala Blasters and signed up a couple of foreign defenders in an effort to bolster the back-line, which was found wanting last season. However, Goa will be betting on attacking ways to carry it forward. That is easier said than done against Chennaiyin, which has a well-organised defence and mid-field. Gregory said the team needs to improve after losing the opener while stating that they had missed a few opportunities. Though the team will be missing mid-fielder Dhanapal Ganesh, who is out injured, CFC has several others to fall back on. Gregory Nelson and India international Jeje Lalpekhlua had a good opening game wherein they created chances. The two would like to continue in the same vein with the latter keen to get on the scoresheet. The duo along with Raphael Augusto would hold the key to CFC's chances while Goa's forwards will be wary of the rival's solid defence as both teams eye a first win of the new season.